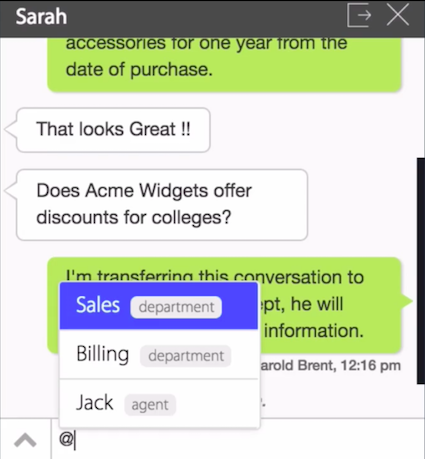 Transfer Chat feature allows you to transfer your ongoing chat to other agent/department. Chat can be transferred by Admins as well as Agents. 1. a) You can transfer the chat by clicking on the Upward arrow present in the chat window and select "!Commands". 1. b) Choose !transferChat from the list >> choose the agent/department to transfer the Chat. 2. You can press '!' key in the Keyboard and select or type 'transferChat'. 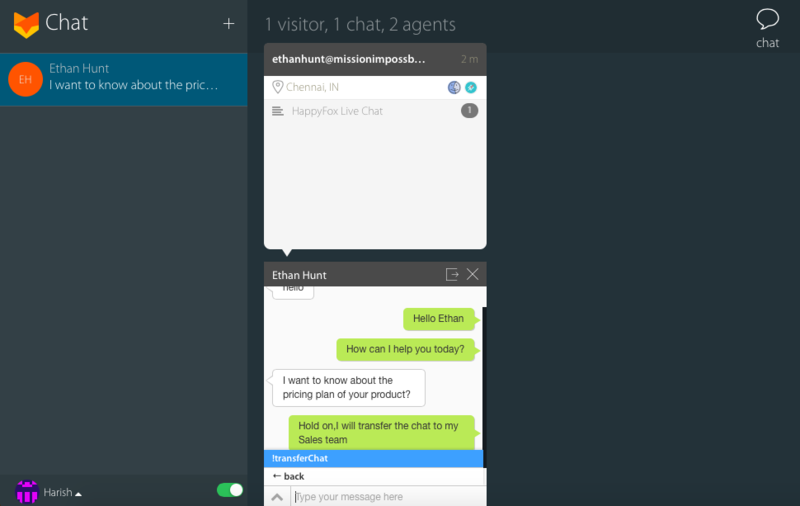 choose the agent/department from the list to transfer the chat. 3. Simply type '@' Key in the keyboard and select the agents/departments from the list to whom you want to transfer the chat. What happens after the chat is transferred? 1. 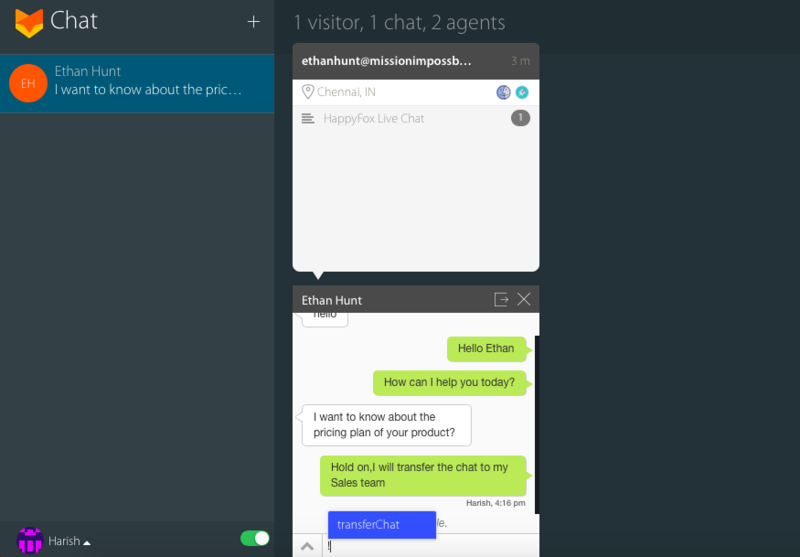 After chat is transfered to agent, the other agent will get a chat notification and he/she has to click "Accept" to chat with the customer. The Other agent can either choose to Accept or Decline the Chat. Note: A chat can be transferred to the other agents, only if they are Available. 2. 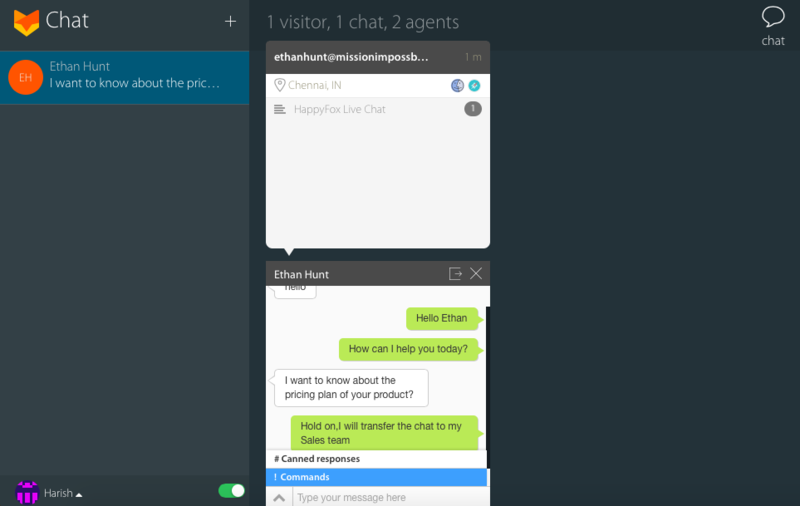 Similarly when the chat is transferred to the other department, the chat notification will be broadcasted to all the agents in the transferred department. 3. 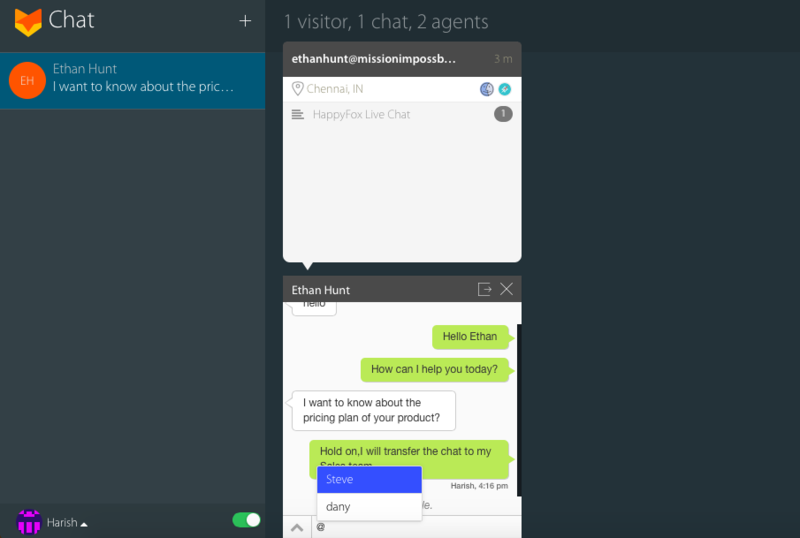 Once the chat is transferred to the other agent/department, you will no longer be able to chat with the visitor/customer or see the chat that you had with the visitor/customer before the chat was transferred.